The alongside was just sent to the SABC staff. 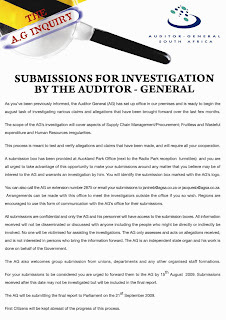 It looks as if the Auditor General is now in place at the SABC, and consulting with the internal staff. Perhaps SASFED affiliates can also contribute with any info they may have. Click the image for a full size version.